Geography has been taught in Göteborg for more than 100 years. The first chair was inaugurated in 1905, when the famous explorer of the Antarctic, Otto Nordenskjöld, was appointed professor in geography and ethnography. The present organization dates back to 1971, after the merger between the Department of Human Geography at Göteborg University and the Department of Economic Geography at the School of Economics and Business Administration. Research within Human Geography has traditionally been centred around physical and regional planning in Sweden, but there is also a long tradition of studies within development geography, particularly in Africa. Economic Geography has traditionally specialized in international trade and maritime transport, reflecting the City of Göteborg’s position as the Nordic centre for shipping and trade. Other important research areas are geographical patterns of foreign direct investment, and economic integration in Europe and East Asia. Late Dr. Anders Närman was Associate Professor at the Department of Human and Economic Development. He was a leading Swedish scholar on African studies, but also a prominent South Asia researcher (photo to the right). For many years he worked with Sri Lanka related projects, especially at Kelaniya University, where he initiated a major collaborative research project – see below. In March 2002, SASNET’s Staffan Lindberg and Lars Eklund visited Kelaniya University (KU) along with Dr. Närman. Read their report from KU. Dr. Närman passed away on 15 November 2004. Dr. Jonas Lindberg defended his doctoral dissertation project titled ”Education for all in times of global transformations: Aspirations and opportunities of poor families in marginal areas of Sri Lanka” on 9 December 2005. Faculty opponent was Prof. Holger Daun, Institute of International Education (IIE), Stockholm University. More information. Abstract: This study is concerned with the educational opportunities of poor families in marginal areas in times of global transformations. The point of departure is the fields of tensions between the kind of education these families perceive themselves to need in order to lead lives they value, and the kind of educational opportunities that are accessible to them. The study is motivated by a renewed interest in education among policy-makers, which seems to lead to quantitative expansions of enrolments in basic education in many parts of the South, and by a “new” dilemma of educational planning in times of global transformations. The empirical focus of the study is on poor families in marginal parts of Hambantota District, in southern Sri Lanka. One main conclusion is that there is an ongoing process of stratification of educational opportunities in Sri Lanka. Three stratifying mechanisms are identified in the education network, each of them strengthening the need for particular sets of unequally distributed resources in the quest to move from inferior to superior segments of schools. This stratification has implications for processes of inclusion and exclusion both on its own and in relation to the perceived increasing need for education among the families. Finally, there seems to be significant connections between attempts of policy-makers to counter aggregate exclusion from global flows of investments and the exclusion of poor families in marginal areas from capabilities deemed to be necessary to value. The dissertation project was initially part of a larger research project on ”Regional Development in an Open Economy. A Comparative Study of Hambantota and Gampaha Districts, Sri Lanka”, initiated by Anders Närman, and funded for several years by Sida/SAREC (currently for the period 2005–07). The project is now carried out by Dr. Jonas Lindberg (photo to the right) at the Dept. of Human and Economic Geography, in collaboration with Kelaniya University in Sri Lanka, and the Centre for Geographical Information Systems, Dept. of Physical Geography and Ecosystem Analysis, Lund University. The main research partners for the project in Sri Lanka have been Professor Kamal Karunanayake and Professor Nimal Dangalle. Six PhD students from the University of Kelaniya have also been involved in the project. The work has been carried out in a ”sandwich” mode between Göteborg University and Kelaniya University. Dr. Jonas Lindberg is also involved in a research project on ”Diversifying within or away from poverty? Understanding implications for wellbeing of rural livelihood diversification. Cases from southern Sri Lanka”, a project first being funded by Adlerbertska forskningsstiftelsen. In November 2008, Dr. Lindberg was awarded SEK 700 000 as a two-years research grant for the years 2009 and 2010, from the Swedish Research Council for Environment, Agricultural Sciences and Spatial Planning (FORMAS), for this project. Abstract: Research concerning the implications for wellbeing of rural livelihood diversification in the Global South is inconclusive. In Sri Lanka, little is known about which households diversify, where, and with what outcomes for their wellbeing. The aim of this project is to better understand under what conditions rural livelihood diversification leads to ways out of poverty and when it does not. Underlying mechanisms are searched for from three perspectives: asset status and perceptions of households; characteristics of the places they inhabit; and the policy-context. The research approach contains three interrelated elements. First, a thorough review of existing literature in order to come up with a model/theoretical frame for further analysis. Second, national spatial patterns of rural diversification will be analysed in relation to relevant variables with help of Geographical Information Systems (GIS). Third, four villages in southern Sri Lanka are selected for in-depth case studies: two with different agro-ecological conditions in an area with poor accessibility to urban markets and two with different agro-ecological conditions in areas with better accessibility. Main methods for this part include a household survey, focus group discussions, and semi-structured interviews about livelihood trajectories. More information from Jonas Lindberg’s personal web page. In August 2008, Jonas Lindberg was co-applicant for a research project titled ”Corruption and Conflict. Challenges for Local Governance in Sri Lanka”, that was awarded a SASNET planning grant. The project will be carried out in collaboration with Dr. Camilla Orjuela, School of Global Studies, University of Göteborg, and Professor Siri Hettige, Department of Sociology, University of Colombo, Sri Lanka. More information about the project. Professor Claes Göran Alvstam (photo) and Associate Professor Inge Ivarsson has conducted research on international technology transfer between global transnational corporations, TNC:s, and local business partners in developing countries. Through in-depth case studies of AB Volvo in India this project investigates to what extent long-term business relationships can contribute to technology up-grading of their domestic suppliers. Since 2001 they have presented several papers about International technology transfer to local suppliers by Volvo Trucks in India, published in magazines such as Oxford Development Studies (2004), Tijdschrift voor Economische en Sociale Geografie (2004), Economic Geography (2005) and World Development (2005). The World Development article is titled ”New TNC-strategies and International Technology Transfer to Developing Countries: The Case of Volvo Global Trucks and Their Component Suppliers in India 2001”. In March 2005 a high-level delegation from Göteborg University (GU) made a contact journey to visit universities in South and South-East Asia. The delegation, headed by the GU Vice-Chancellor, included Professor Alvstam from the Dept. of Human and Economic Geography. He is also Pro-Vice-Chancellor of Göteborg University, in charge of International relations. In South Asia they first visited Peradeniya University in Sri Lanka, and in India the following institutions: Indian Institute of Science, Bangalore; Indian Institute of Management, Bangalore; Delhi University; and Jawaharlal Nehru University, New Delhi. This was followed up in November 2005, when a delegation of 17 people from the School of Business, Economics and Law at Göteborg University went to IIM in Bangalore, in order to create a platform for a wide collaboration regarding students exchange, research collaboration and joint training projects, e g Executive MBA programmes. The Director of IIMB, Prof.Prakash Apte, and a colleague of him then visited Göteborg in April 2006 for further discussions. Different forms of collaboration projects were initiated from the end of 2006. Helena Sjöholm, International Coordinator at the School of Business, Economics and Law, has been in charge of the collaboration with the Indian Institute of Management in Bangalore, a collaboration that is confined not only to Economics, but also to art, IT and social science. 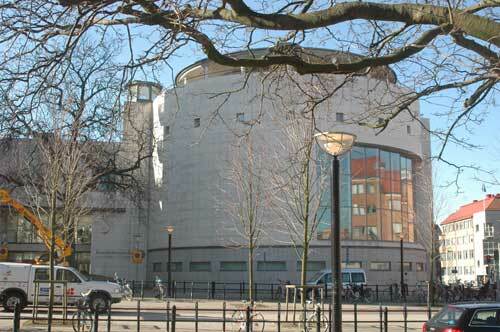 In May 2006 the School of Business, Economics and Law at Göteborg University received SEK 70 000 as a Linnaeus Palme grant for the contract period 1 July 2006 – 30 June 2007, to plan for teachers and students exchange with the Indian Institute of Management in Bangalore. More information. An important link connecting IIMB and Göteborg University is Prof. Gita Sen, well known researcher on equity, gender and health, and being Sir Ratan Tata Chair Professor at the Centre for Public Policy, IIMB. She has also been a visiting professor at the Harvard Center for Population and Development Studies, USA, and a Fellow of the Centre for Development Studies (CDS) in Thiruvanthapuram, India. She combines a distinguished academic career with policy advocacy and NGO activism. She is a pioneer in the field gender and development. For several years she has been involved in research collaboration with colleagues in different fields at Göteborg University (and also at Karolinska Institutet Medical University in Stockholm, from which she was awarded a honorary doctorate in May 2003). In June 2003 Prof. Sen came to Göteborg to inaugurate the Network for Global Gender Studies, later transformed into the Centre for Global Gender Studies (CGGS) at the School of Global Studies, Göteborg University. Gita Sen is also a founding member of DAWN (Development Alternatives with Women for a New Era); a network of Third World researchers, activists and policy-makers committed to alternative development and gender justice. She is a trustee of Health Watch (India) and of the Institute of Social Studies Trust (India). She is on the Board of the UN Research Institute for Social Development (UNRISD) and on several other international organisations and advisory groups. Among many honours she received the Volvo Environment Prize in 1994, and an honorary doctorate from the University of East Anglia in the UK in 1998. She has another link to Göteborg in being a member of the International Prize Commiittee of the Volvo Environment Prize, awarded every year for ”Outstanding innovations or discoveries scientific, socio-economic, or technological which have direct or indirect significance in the environmental field and are of global or regional importance”. More information. Reväst, the Board of Regional Research in West Sweden, is an information platform unit and network for regional research both in West Sweden and its surroundings, connected to Göteborg University/Dept. of Human and Economic Geography, School of Business, Economics and Law. Reväst functions as a link between researchers and those who use the research results. Its perspective is regional but Reväst is also involved in national enquires. Prof. Lars Nordströmis the President of Reväst. Every year, Reväst organises study tours for delegations to different destinations. In November 2007, a fruitful study tour by a delegation of people representing universities, business and culture was made to Bangalore in India. The ambition was to increase interaction in a variety of fields between the region of West Sweden and the Indian state of Karnataka. More information (in Swedish only). As a result of the Bangalore journey, Reväst has published a book, titled ”Indien – ett framtidsland?” (India – land of the future? ), with contributions by the participants. And furthermore, a seminar with the same name was held in Göteborg on Friday 18 April 2008. The experiences from the Reväst India tour were presented, but the seminar also included other presentations. Dr. Roger Schweizer from the Dept. of Business Administration, Göteborg University, talked about the merger between Sandoz India Limited and Hindustan Ciba-Geigy Limited in the 1990s. Dr. Marc Katz from the Dept. of of Religious Studies and Theology, Karlstad University, presented his university’s long-standing Indian study programme in Varanasi. Lars Eklund, deputy director for SASNET, also participated in the seminar to present SASNET’s activities and especially its web site. Venue: CG-salen, School of Business, Economics and Law, Göteborg University, Vasagatan 1. Read the full programme for the seminar (as a pdf-file).